I agreed to read and review this book for TLC Book Tours, and wow, what a book. In England, it was the workhouse – a chapter in the history of the country’s social welfare system wherein the government tried to deal with its destitute and homeless population. 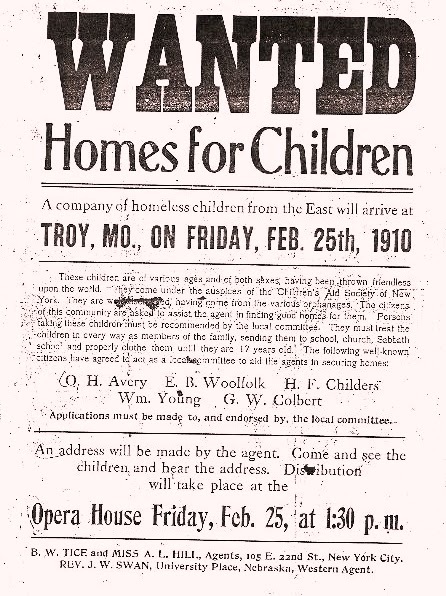 Here in the US, it was orphan trains – a mere footnote in our history. In both cases, we can look back from our enlightened and modern perspective and see those early efforts as cruel and monstrous, but the truth is, at the time, those methods of dealing with orphans made sense. 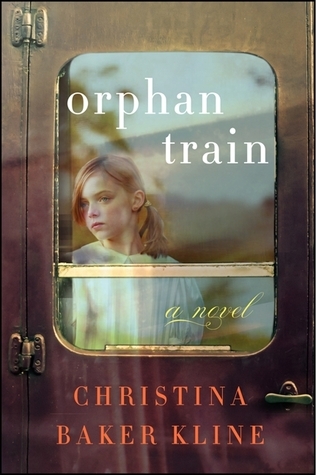 In Christina Baker Kline’s Orphan Train, we meet Vivian, a ninety-one year old woman who has agreed to have Molly, a seventeen year-old foster kid on the verge of landing herself in juvie, fulfill her sentence of community service by having her help clean out her attic. Cleaning out Vivian’s attic, however, becomes merely a way for Vivian to revisit her past one last time, and perhaps make peace with it, finally. Over eighty years prior, Vivian was a girl named Niamh (pronounced “NEE-uhv”), recently emigrated to New York from a small coastal town in Ireland. At the tender age of nine, Niamh loses her family in a fire and is left orphaned. Some neighbors turn her over to the Children’s Aid Society and she is placed on a train with hundreds of other orphans, bound for the midwest where they will be paraded before townspeople in the hopes of securing new homes. Not surprisingly, babies are in highest demand – and they are the most likely to actually be taken into families who want a child to love and raise. Older children, more often, than not, are taken in by people – if they are taken at all – who are looking for free labor. It is a frightening reality that the children go to anyone willing to take them, with no background checks, interviews or investigations undertaken – they are turned over to strangers in exchange for some signatures on a few forms. Not surprisingly, they often entered lives of torment, abuse, neglect, and despair. Niamh – later Beverly, and later still, Vivian (one of the most heartbreaking aspects to me was the fact that most of the children were given new names by the people taking them in; in addition to losing their blood families, they have their very identities stripped from them) – suffers great hardship and loss in her new life. Now nearing the end of her life, she undertakes the cleaning out of her attic, and old ghosts are resurrected. Over the weeks that Vivian and Molly work together in the dusty old attic, Vivian shares her story, which turns out to be not so different from Molly’s own story of being bounced around from foster home to foster home. Despite the seventy years that separate Vivian and Molly in age, a friendship is forged through shared experiences and the recognition of a kindred spirit in each other. This book really packs a punch, and by the end, I was crying big, sloppy tears. Wonderful story. Why are the words “big, sloppy tears” such a motivation for me to read a book?! I can’t explain it, but it gets me every time. I’m so glad you loved the book! I can’t even imagine what it must have been like for the older kids to travel on these orphan trains. Breaks my heart just thinking about it. I FINALLY read this book when a friend placed it in my hands and said, you have to read this, history lady. I loved it from beginning to end. I was taken in by the whole orphan train concept having read about it as a history undergrad in college. When we moved to Minnesota 5 years ago, I had no clue that I would actually MEET someone who was on one of those trains! She is a neighbor of ours that lives with her daughter and son-in-law down the street. After I read the book, I went down the street to visit with her and it was interesting to hear what her experience both on the train and in the 2 homes she lived in. Great book and very well researched too!